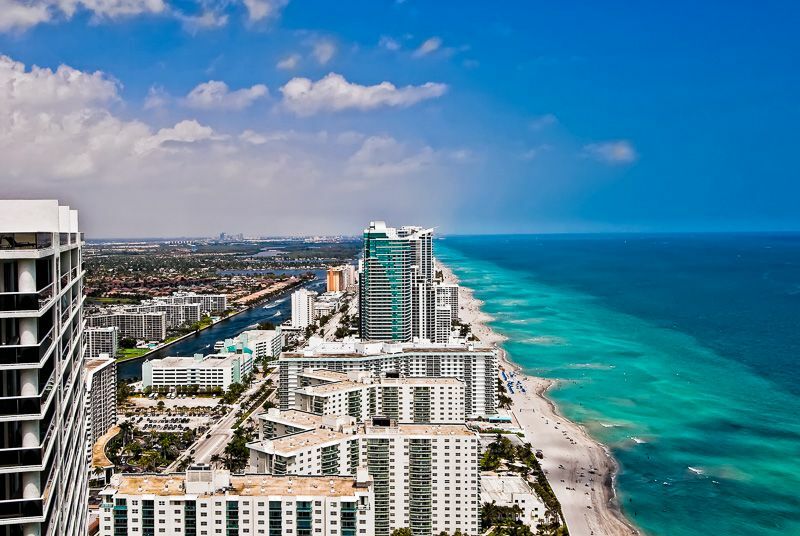 The area that is now known as Hallandale Beach was not even settled until the late 1800’s, when Henry Morrison Flagler expanded the Florida East Coast Railway to Palm Beach in 1895. Before then, there wasn’t much to Hallandale Beach except swamp and a gray, sandy soil called marl. The Seminole Indians would hunt in the area and gather cootie root, which was used to produce starchy dough. Flagler recruited Luther Halland, son of a Swedish minister and brother-in-law to one of Flagler’s agents, to start a Swedish settlement south of the Danish settlement of Dania. With the assistance of an immigrant named Olaf Zetterlund, Halland began promoting the frost-free subtropical climate and cheap land of Halland (later to be named Hallandale). Halland set up a small trading post in the new community and became its first postmaster. Settlement was slow, with only a dozen families in town by 1900 – seven Swedish, three English, and two black. The first school was built in 1904 and had only ten students. The first church, Bethlehem Lutheran, was established in 1906. Originally, Hallandale was a farming community, with farmers using the beach only for recreation.